Urological cancers represent nearly 20% of all cancers diagnosed in the UK each year, accounting for 1 in 3 cancers in men and 1 in 5 of all cancers. 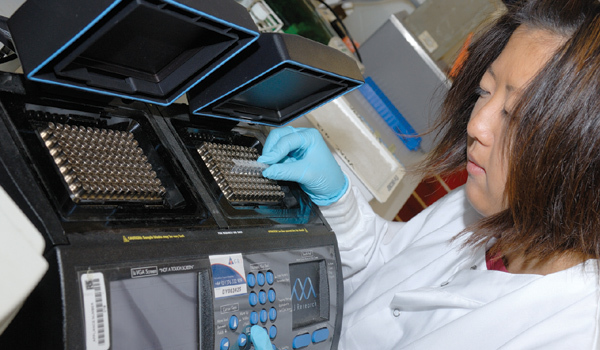 The donations we receive from Charitable Trusts and Foundations are crucial in helping us to support research into the prevention, diagnosis and treatment of cancer. The money helps us to fund the development of new technologies and ways to treat and improve the lives of cancer patients. It also enables us to provide the information and education needed to help people understand the disease and its signs and symptoms. Working together we can make a huge difference, whether it is funding a whole project that you may wish to put your name on, or granting smaller sums of money that will help to pay for essential items or people. Your support has a huge impact on our growth and ability to fight this terrible disease. With your funding we are able to directly support cancer patients by finding new ways to diagnose and treat them. You are always invited to be involved with a project, whether it is visiting the research laboratories, meeting with the clinicians or patients or Trustees, you will always be very welcome. You can also be assured that the research you are funding has been through a rigorous peer review process and that you will be kept fully up-to-date with all outcomes. We want you to know exactly how your money has been invested and the difference it has made in improving patients’ lives. Please look at our current Research and Education Projects or contact us for any further information and future projects. Working together we can make a huge difference, whether it is funding a whole project or granting smaller amounts that will help to pay for essential items or people.